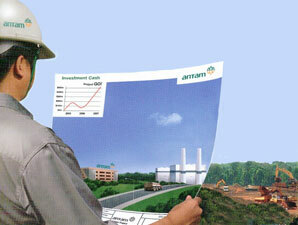 According to PT Aneka Tambang (Persero) Tbk Annual Report 2016 as cited by JobsCDC.com, ANTAM returns to booked net profit in 2016. ANTAM booked total net profit of Rp64.81 billion in 2016, compared to net loss of Rp1.44 trillion recorded in 2015. Referring to its annual report, ANTAM reported total net sales of Rp9.10 trillion in 2016 in 2016 or down 13.53% from Rp10.53 trillion in 2015. Previous experience in SAP implementation at least 1 cycle. Minimum 3 years of experience in using SAP, Sales & Distribution Modules. The candidates with prior experience in the mining/manufacturing industry is preferred.